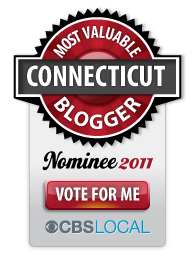 The Return of the GREEN CT Realtor! Has it really been 6 months? It's like time zipped into fast forward mode and I couldn't slow things down! I suppose it started in the Spring, when I saw a sharp rise in my real estate activity, and then things got fast & furious by summer. I averaged working 60 hours per week, and even when I tried to take a few days off for a family vacation, I spent every day with phone calls, emails, texts, & negotiations. No complaints though - life was just a little off-balance for a while. I used to work that many hours per week when I was first building my business, before I had children. With children = a little more difficult and a greater need to schedule some real time off. Also on the GREEN front, my first very GREEN real estate listing! 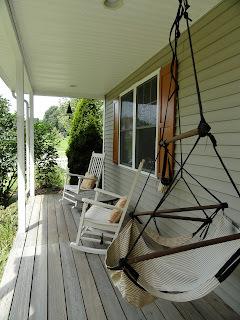 122 East Hebron Tpke., Lebanon, CT. It's this really well-built 12-yr old home on almost 3 acres with 4 bedrooms and 4 baths (which includes an in-law set-up with separate entrance AND a 1st floor bedroom & full bath!) for only $319,900. I know - what a steal! Solar Energy - With 91% annual solar access, an 8.4 kW system comprised of 42 Sanyo photovoltaic panels (or modules) generates clean solar energy to power the house. Monthly electric bills generally run $16 – the fee to be connected to CL&P, and instead of a regular electric bill, a payment is made through the CT Solar Lease program for a flat fee of $233.26. This amount does not change even if electric rates go up, insulating the homeowner from rising prices. Documentation is available to explain the system design, inverters, solar dividends program, leasing details. Bamboo flooring in 1st floor bedroom – Bamboo is a renewable resource and a choice that does not diminish decades old hardwood forests. This very hard and very durable material is an average of 13% harder than maple. It is 27% harder than northern red oak and expands and contracts 50% less. Most people with pets find it harder and longer lasting that most other floor coverings. Ipe Brazilian hardwood decking – The “king of tropical hardwood decking” this Brazilian Walnut is a very high end, quality product. Typically used for decking, docks and other outdoor applications, Ipe is one of the most dense, durable hardwoods in the world, lasting for decades in service. 100% recyclable. Wood stove – Considerable savings on oil costs with this handsome Jotel F500 Oslo wood stove heating the 1st floor with its open floor plan. 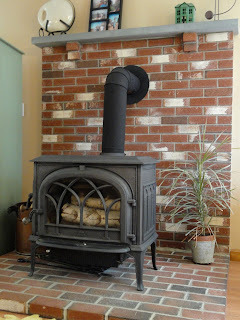 This very clean-burning stove is meant to heat a whole house and the seller uses approximately 2 cords of wood per heating season. The seller has 2 cords of wood stacked and ready for next heating season. Energy-Saving Appliances - Hot water is stored in a super-insulated double-walled stainless steel passive 55 gallon tank, so in the off-season the boiler does not come on to make hot water. Furnace, washer, dryer, refrigerator, and window air conditioning units are all Energy Star rated. Insulating Factors - 6 inch construction with R18 Fiberglass bat insulation in the walls and R30 blown fiberglass in the attic space. Air Quality - Sellers used low VOC (volatile organic chemical) paints when repainting. Water-Savings - Dual-flush water-efficient toilets save up to 67% of water. Perennial Gardens & Raised Bed Vegetable Gardens – The 2.74 acre lot is a gardener’s haven with a striking mix of perennial flowers, shrubs, ornamental grasses, ornamental trees, an espalier apple tree, and raised bed vegetable & herb gardens. A perfect yard for homesteading or saving money by growing your own organic fruits & vegetables. Some of my other favorite things about the house....it has a very zen feeling to it. Very peaceful. Part of that is the location. Despite it's name, East Hebron Turnpike is a very peaceful country road, with farms, cornfields and stone walls. There are horses and goats and chickens as neighbors down the road. Lebanon is a farm town, and this is a gentle & tranquil area. Sitting on the porch is really lovely. The sellers are gardeners and the yard is filled with perennials, ornamental grasses, little vignettes to appreciate and gardens to discover. Do you know what else is pretty unique about this property? It's also available for rent, even for short periods, so if you wanted to say, try out the house for a month before you buy, that's an option! (In the spirit of full disclosure, it's listed both as a rental or a sale, so if you're only in the rental market with no real intent to buy at the moment, you can certainly check it out as a great rental option!) Want to see more photos & details? Please visit my website, http://www.lynnminnick.com to see all my listings. Wishing all of my friends & family here in the United States a really beautiful Thanksgiving. We have SO MUCH to be thankful for.